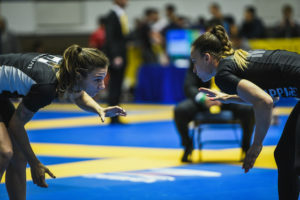 I have been looking forward to my first No Gi Worlds at black belt for a long time. 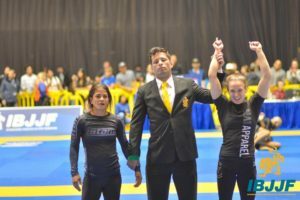 Last time I competed at No Gi Worlds was in 2013, when I won it as a fresh purple belt. I didn’t compete at brown last year, because of a torn ACL. 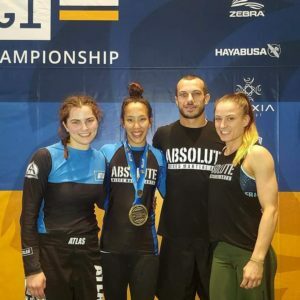 Since Lachie and Craig have qualified for ADCC in 2015, we, at Absolute St Kilda, have focused a lot on no gi and wrestling, and as a result over the last two years I went from feeling like a fish out of water in no gi, to absolutely loving it. 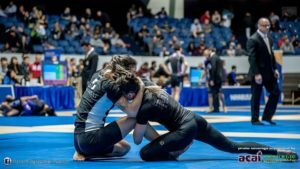 I enjoy the speed, the scrambles, the physicality of it all, and I finally started to get the hang of the different grips and controls required for no gi. 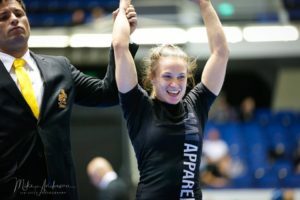 We had a large team from Absolute MMA and I was stoked to compete amongst my black belt teammates and training partners in Lachie, Kit and Craig. My training partners Chi and Sarah, joined Lachie and I for a week in LA. We trained at Brea Jiu Jitsu for a few days and thank Trumpet Dan for his hospitality and a place to roll and drill. Make sure you check them out if you are ever in the area, there is usually plenty of talent on the mats! I realised one of my childhood dreams when we went to Disneyland. It was such a fun day out and somehow we all survived even though most of us were cutting a little bit of weight! My cut wasn’t hard, as I usually walk around 52-53kg, but I did stop eating dessert for 4 weeks or so, which is always sad. For those who don’t know me, I am known to eat like a tub of ice-cream every night, because I loooove desert which will probably give me diabetes one day. Lachie was up first and set the tone for the Aussies. It’s hard to describe the happiness I felt for him, as he qualified for semi-finals the following day and secured himself a medal. He absolutely smashed his first 2 matches and it was so nice to quietly celebrate together – medal at worlds was a long time coming for Lachie and he finally did it! Chi looked amazing in her fights and won a bronze medal. Not many people can win two World Championships medals in one year, but Chi did it in style. Watch out for this girl, she has a very bright future ahead of her! 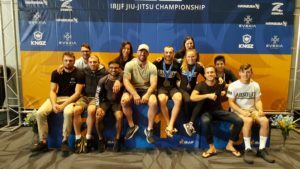 Sarah, Kit, Mikael, Tim, Craig, Lachie Warne, Cooper, Dan and Raph from Absolute MMA all did great and were an inspiration to watch. Everyone is getting better and closer to a podium finish and I’m proud to be their teammate. Other Aussies did amazing too and brought home a few medals! I drew Sofia Amarante, a woman I have looked up to for a very long time, in my first round. 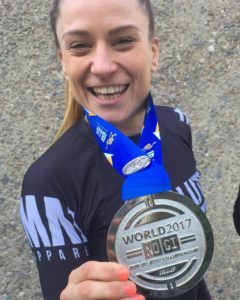 Sofia has won black belt world titles, had a kid, and is still competing all over the world. I had to switch the fan-girling off when I stepped on the mats though. I managed to win by only 2 advantages. Can’t say it was my best performance, but I did what I had to, stayed safe and followed a plan that Lachie and I worked on. 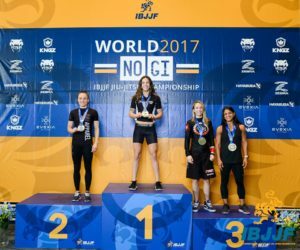 I was ecstatic to qualify for my first black belt worlds final the next day. That night Lachie and I couldn’t stop smiling. We each guaranteed ourselves a medal and to do it together meant the world to us. 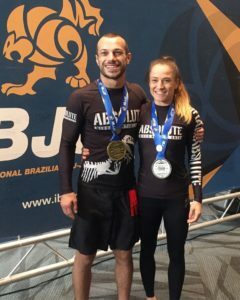 Lachie became the first Aussie black belt male to bring home a medal from No Gi Worlds, which is a huge achievement. It was so hard to sleep with the excitement and going over our game plans. The next day, Lachie was up first in his semi-final against AJ Azagarm. AJ got an early take down and then defended Lachie’s sweep, takedown and sub attempts for 9 minutes, winning by 2 points (and 5 advantages down). 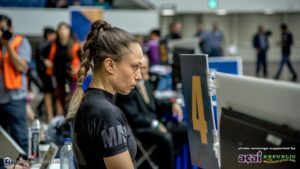 I knew Pati has a great half guard, but I love half guard passing, so it suited me. Pati pulled and after a while got an undertook and forced the fight into ‘dog fight’ position. 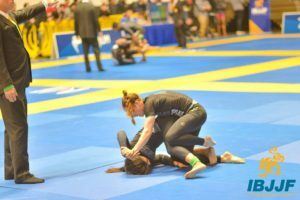 I was trying to drive her shoulder to the mat to free my leg, however I leaned into her a fraction too much, which ended up in me getting swept. As we landed in my half guard, I locked on a kimura grip. I was pretty happy in that position and took my time adjusting grips. In hindsight I should have let go as soon as Pati started to get passed my hips, as she started to set up an arm-bar. By the time I came up to defend, it was too late and I tapped quickly. It’s hard to describe how disappointed and underwhelmed I felt at that moment. I knew I had a good shot at winning the World Title and it felt a little like a wasted opportunity. In the end though, I composed myself quickly. I made a mental note of the mistakes I made during this fight and congratulated my opponent, who did a much better job than me that day. I’ve had my black belt for 6 months and I have a lot to learn. I grieved my loss, but my sadness didn’t last too long. I was proud of that, because 3 years ago I would have been a broken woman for months. I put a smile on my face to collect my medal and celebrate with Lachie and the team. 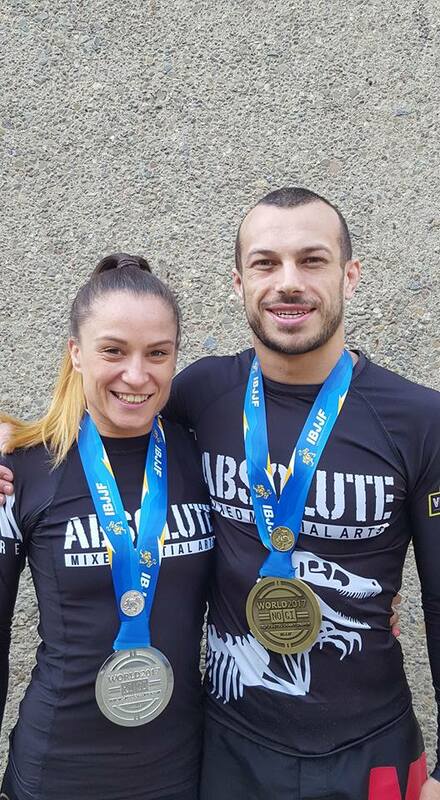 Taking a step back and getting some perspective is always a good idea and in the end Lachie and I were coming home as black belt medallists, which is huge for Australia, for our club and for us. 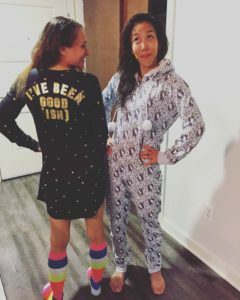 It’s unbelievable what a loss can do to your BJJ. I had a list of mistakes I needed to fix and I worked hard in the last month to fix them. My half guard passing entries and controls are way better now. In fact, I wasn’t even aware of some really bad habits till after I reviewed myself on film. I adjusted the ‘dog fight’ position with my wrestling coach. I also changed my kimura strategy from half guard. 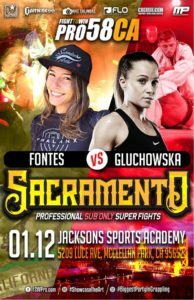 My next challenge is a re-match against Pati at Fight To Win Pro in Sacramento on January 12th. It’s a no-gi sub only fight which allows heel-hooks, which is down right my alley. I am pumped to get another opportunity to fight Pati and do much better this time. I am confident in my leg lock game and will be as aggressive as I can!